What's your highest scoring game of Scrabble? Since starting this Scrabble World, I've been able to break 500 points on a regular basis. This year I've even managed to break the 600-point barrier a couple times. If you ask me, that's a pretty hefty sum to score in one game, but I'm not on par with the professionals yet. I remember writing about Robert Khan a few years back, who scored an 801-point game in a club session. It's a very impressive score, but not record-shattering. The record for highest scoring game in a North American club goes to Michael Cresta, who scored a whopping 830 points in a game back in 2006. But what about tournaments? 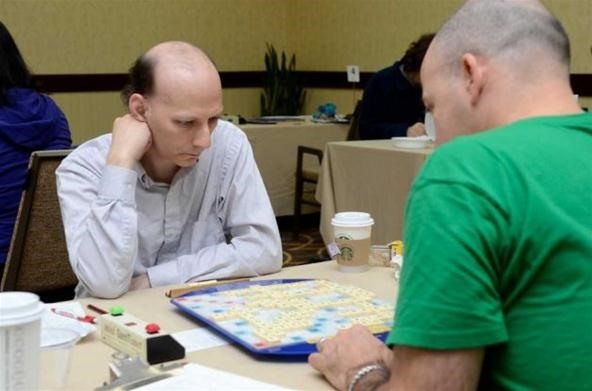 During the Northeast Scrabble Championship last weekend in Stamford, Connecticut, master word builder Joel Sherman (a former World Champion) broke the record for highest winning game score in a tournament with 803 points, pushing back Edward De Guzman to second place with 771. Joel also emptied his rack 7 times during the game againt Bradley Robbins, tying Nigel Peltier for the official North American Scrabble Players Association tournament record for most bingos by one player in a game. Joel also hit third place for the highest winning game spread in a tournament. If you ask me, anything above 600 points and 5 bingos in one game is worth bragging about. But Sherman has had his share of bragging and was looking forward to winning for the $500 payout. "It's nice, but it's not worth any money," Sherman told the Stamford Advocate. "I already have plenty of notoriety. I'd rather do something that pays off." Sherman finished the tournament with a 12-4 record. Instead, the winner of the tournament was Mack Meller, with a record of 13-2-1. Who is Meller? Someone else who broke a record last weekend, as the youngest tournament winner ever. 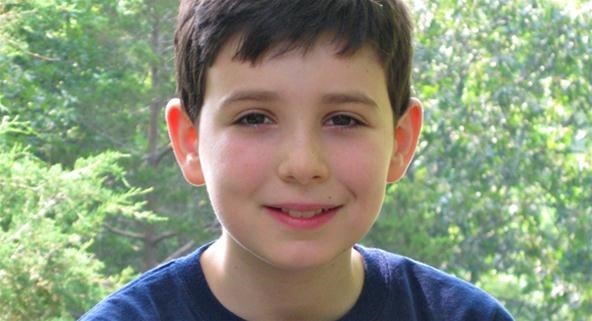 He is 11 years old. To see more Scrabble records, visit the NASPA website.